Hot Vortex - corporate pattern in bright colors, ideal for creating websites of different subjects. This template contains more than 25 module positions, 4 built-in design options with the ability to customize the color scheme through the admin panel of the site. The package includes branded 3D rotator Hot Spinner, which provides a flexible display content on the site. 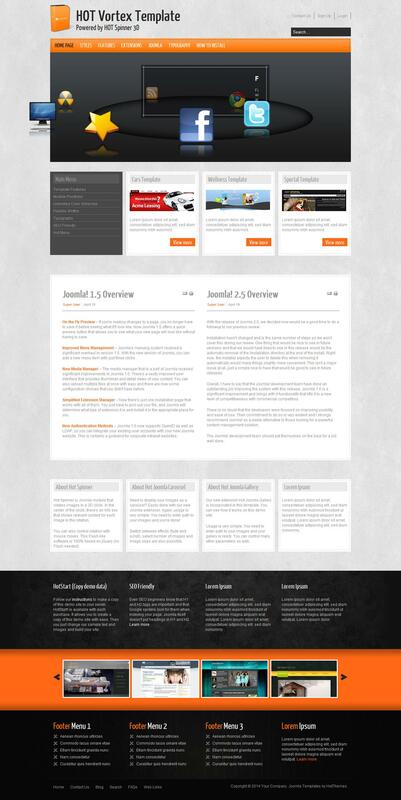 You can also adjust the overall width of the side panels and layout template.